On the fortieth anniversary of the fabled Summer of Love, Film Love presents a revealing look at the music, art, lifestyles and protest movement of the American counterculture circa 1967. All films shown were made during the era and most are shown in their original format of 16mm. In David Ringo's impressionistic "March on the Pentagon," Flower Power collides with tear gas. 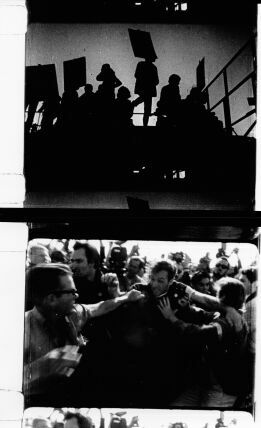 Lenny Lipton’s "We Shall March Again," depicting conflict at a 1965 Berkeley peace march, is a vivid early record of the type of antiwar protest which would help define the Summer of Love. "Turn Turn Turn" and "LSD Wall" are acclaimed films which approximate psychedelic experiences and sensations, while the kinetic, fabulously colorful "Rockflow" is a jaw-dropping catalog of '67 clothing styles set to groovy rock music. Jud Yalkut and Nam June Paik’s "Beatles Electroniques" convert the pop icons (and their music) into melting, otherworldly forms. Notions of free expression merge with the new sexual consciousness in "Kusama’s Self-Obliteration," featuring the Japanese artist Yayoi Kusama in one of the wilder manifestations of sixties performance art. 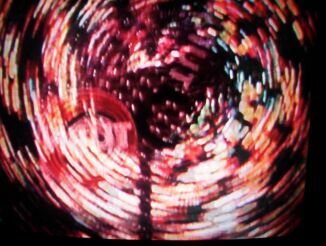 Meanwhile, the sensory overload and brilliant montage of Paul Sharits’s film "T,O,U,C,H,I,N,G" provides a counterpoint to simplistic notions of the "innocence" of the era. NOTE: This program contains graphic imagery and is intended for adult audiences. Summer of Love is a Film Love event, programmed and hosted by Andy Ditzler for Frequent Small Meals. 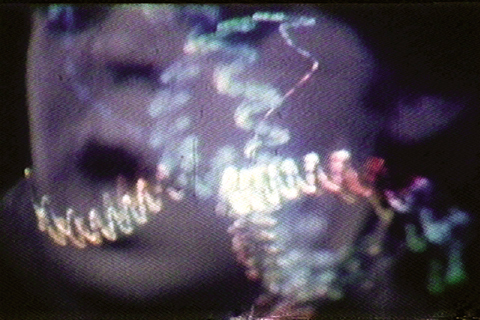 Film Love exists to provide access to great but rarely-screened films, and to promote awareness of the rich history of experimental and avant-garde film. Film Love was voted Best Film Series in Atlanta by the critics of Creative Loafing in 2006.